India got off to a good start as they took a one-point (58-57) lead at the close of the first end thanks to Verma who scored two 10s. The second end proved to be even better as the Indian team increased their lead to three points (116-113) with Verma looking in exceptional touch, replicating his performance from the first end. Both the teams managed only 52 points each in the third end, but it was more beneficial to India than Colombia as they maintained a three-point lead. The Asians tightened the noose in the fourth end scoring 58 points, compared to Colombia's 56, to secure a five-point victory. India had defeated the USA in the semi-final by a score of 232-230 yesterday to book a place in the gold medal match. 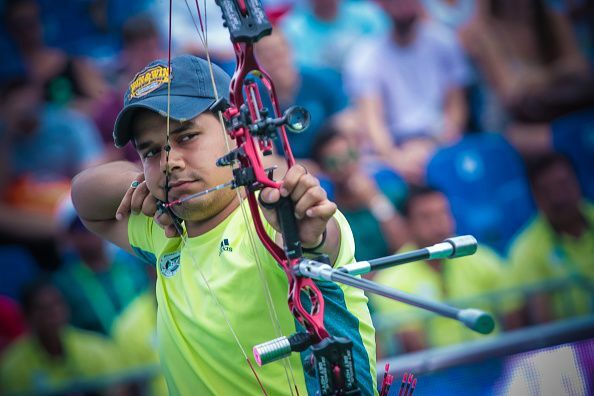 It turned out to be a mixed day for Verma who missed out on a bronze medal, against the USA, in the compound mixed team event. The United States won the bronze by a narrow score of 153-151.